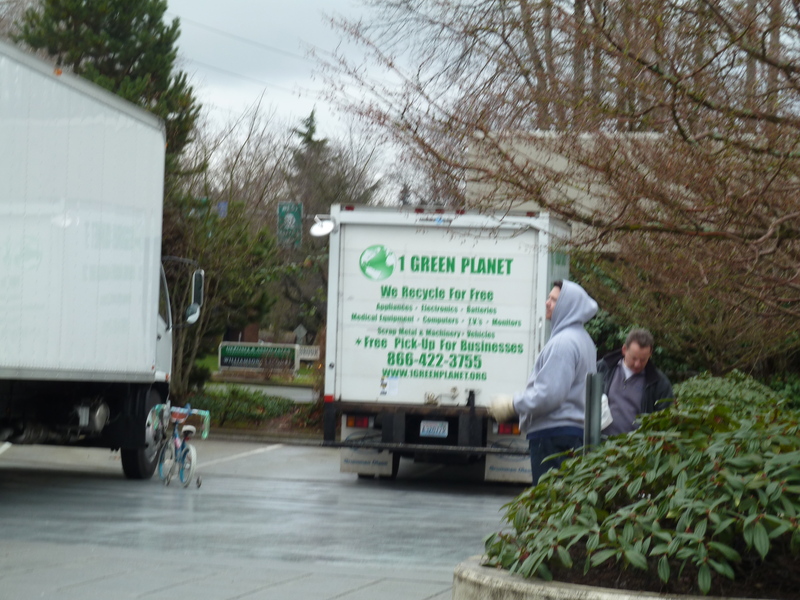 Windermere/Yarrow Bay's Recycling Event Was A Success! The water heaters, computers, scanners, modems, old bikes all came today to my Windermere/Yarrow Bay office in Kirkland. There was a steady stream of cars through the parking lot through the whole day. More than 3 truck loads of “stuff’ was brought in and will be recycled. Way to go! None of the “stuff” will be thrown in a landfill. Thank you for bringing your “stuff” and not dumping it. Thanks to 1 Green Planet for a job well done. What a great way to start the year! Got Junk? 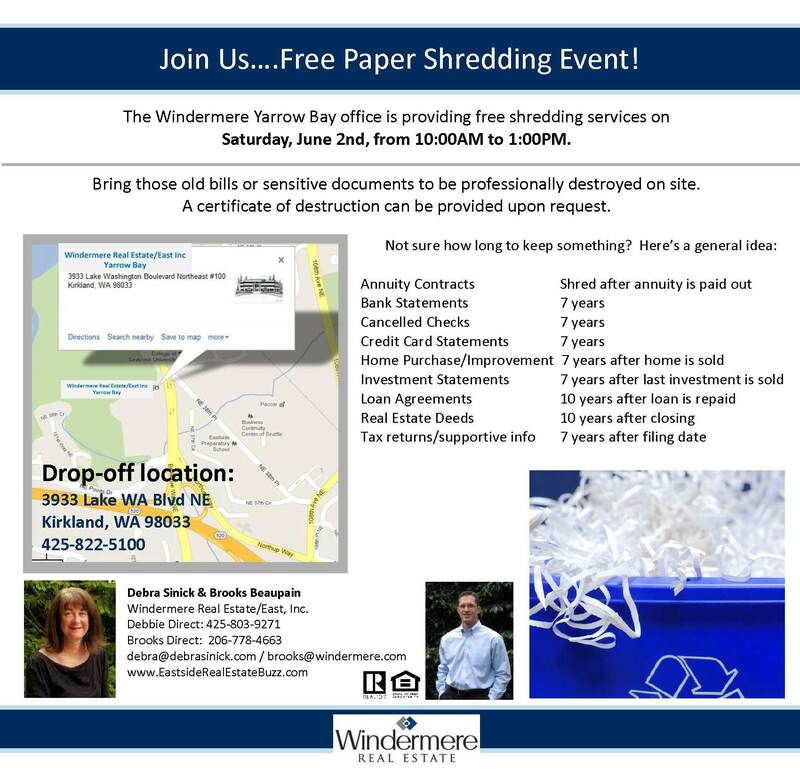 This Sunday you’ll have an opportunity to start the new year right by unloading some of your unwanted electronics, appliances and other good stuff at my Windermere Real Estate office in Kirkland. 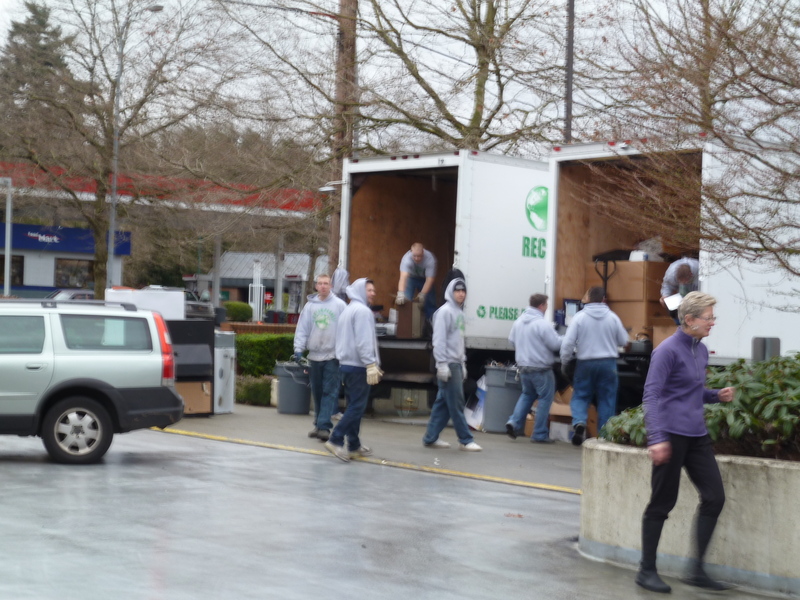 I missed a recycling event in Kirkland, so my husband and I took our stuff down to 3RRecycle in Seattle back in the fall. They did a good job for us, but it’s nice to be able to get rid of your “stuff” responsibly and quickly right here on the eastside. 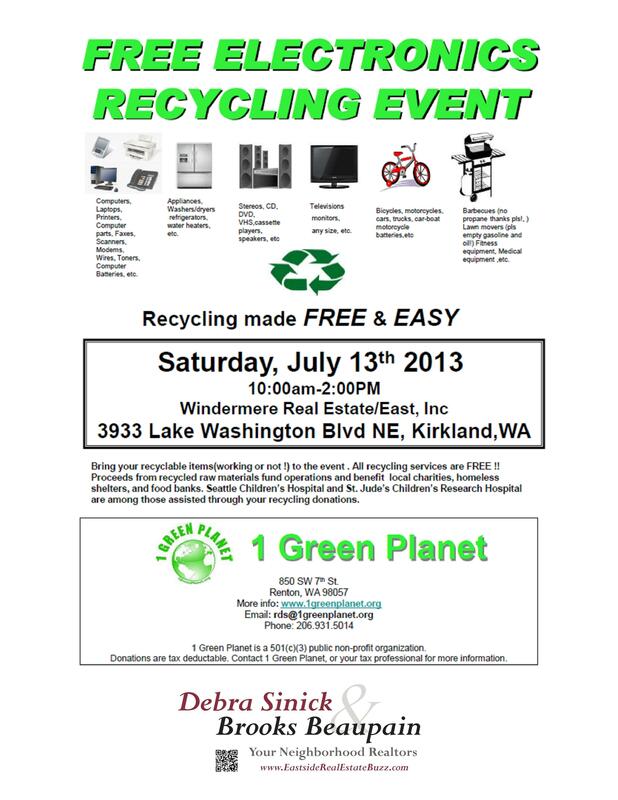 1 Green Planet will also take your stuff if you can’t make it on Sunday. They’re located at the above address in Issaquah. By the way, if you know of other recycling events throughout the year, please let me know about them as I’m happy to post your event on this blog. Happy recycling.